As I've mentioned before, I've been trying to organize a reading of ghost stories right before Halloween. I've kind of been on a ghost kick lately. Anyway, I couldn't quite come up with some cheap haunted place. And the cemetery idea someone suggested didn't seem practical [and weather could be an issue in late October]. So, it's now set for Saturday, October 27th at 7 pm. We'll be at Broadway Book Mall, 200 S. Broadway in Denver. Participant list will be announced soon. October is shaping up to be a busy month for me. I'll also be attending Mile Hi Con in October. That's the weekend before the ghost reading. I may even be doing another event in October, but that's still not official yet. And speaking of ghosts, I just sold a ghost story to Tales of the Talisman magazine. "Mr. Walker" is about how the mob might deal with a ghost problem. That issue will be out next year. I have a dumb cell phone from ATT. I never ever download anything. I don't send pictures. I don't text. So, today I was amazed to find data charges on my new bill. So, I called them. I never did get any type of coherent explanation for why these charges were there or what they were for. Yes, they took them off my bill, but I still do not understand why they were there in the first place. It really pays to check your bills. Being a member of the Horror Writers Association, I find people sometimes offer to send me copies of their horror anthologies. (I can vote for the Stoker Awards). In addition to the HWA, as the editor of a science fiction magazine, I also get offers to get SF anthologies and novels for review purposes. Alas, I haven't taken anyone up on the offers. The horror books that I've been offered, frankly, haven't really interested me and Science Fiction Trails doesn't currently run reviews. What I should do is take the freebies and sell them on eBay. But I don't think that's fair to people. Getting reviews and, especially, getting awards can really boost sales. I understand the game and why it's played. Alas, most of the books I've been offered haven't got a prayer. Generally speaking, whether it's a Stoker, or a Nebula or Hugo, they almost always go to mass appeal books and magazines--not to obscure small press stuff no one has ever heard of. At least that's always been my take on how these things work. I've been tempted to start my own award for weird western stories. I haven't because I simply don't have the time and don't really want the financial commitment. Even if it's just a certificate and a press release, it's still a commitment I'm not really keen on undertaking right now. Though I have thought about it. I'm editing an anthology of ghost stories. What astonishes me is that I keep getting horror stories. By definition, a ghost story is a horror story. However, the reverse is not true. Only a small percentage of horror stories are ghost stories. But, unfortunately, I'm getting stories that don't have any ghosts in them. What the heck is wrong with these people? I seriously wonder what some of these so-called writers are smoking. It was the same deal when I was reading for Martian stories--34 stories came in that did not even mention Mars and had nothing to do with Mars. This is nothing new. But it sure is a baffling waste of time. Another thing. 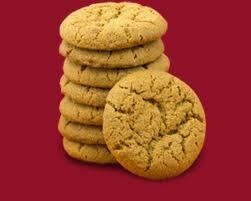 Nobody ever sends editors cookies..
Large size anthology, 9 stories, edited by David B. Riley, weird western theme. I got back from a week in Wellington to find that this anthology had been dropped off for me to review, and I’ve had some amusement doing that. I like a good WW story and this anthology has some excellent tales – and none that weren’t good. Commodities of Nature by David Lee Summers manages to combine canals, Martian influences, Tesla, and the art of compromise, in one solid story. It is a little-used aspect of westerns that this tale featured a man able to accept that someone else’s POV might also be valid and I liked that. Then, not to be influenced, but I thought that Lyn’s A Day Out Shopping really fitted the ‘Weird” part of the anthology. It’s difficult to describe because it’s a very odd story, but quite fascinating to read because you have no idea where this plot is going until you arrive. Go West, Young Martian, Go West by Laura Givens made me laugh. I could just see the Martian trying to establish telepathic rapport with a wagon team and finding that the horses simply didn’t want to hurry up. But it’s a very pleasant tale about prejudice, and finding that those who are really different may still have a lot to contribute. Sam Kepfield’s The Treasure of Vallis Marinaris is a riff on the old theme that ‘a treasure isn’t always gold and jewels,’ and is none the worse for that. A well-written variation. I enjoyed the remainder of the stories but don’t have anything more specific to say about them.I can add that I liked the large size format, by which I mean that this anthology isn’t thicker, it’s several sizes up from a normal softcover, closer to large comic book dimensions. But with that size and the vivid attractive cover, it catches the reader’s eye, and that’s always a good thing. Well, Neil Armstrong has passed on. He never seemed to be very comfortable with the celebrity being the first man on the moon carried with him. The astronauts were picked because they were kind of boring. They were men who liked to roll up their sleeves and get the job done. Few of them ever sought fame for their efforts. I still remember the moon landing. The whole country, even the whole world, was transfixed. 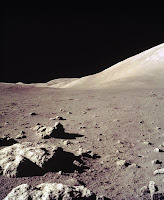 And, I still remember what I was thinking when Armstrong plopped down on the dusty lunar surface. What a missed opportunity. If it had been me, I'd have yelled, "What's that? Look over there!" Then waited a moment and yelled "Ahhh!" Then let there be silence for a few minutes. But, alas, NASA and its astronauts lack my sense of humor. But, Neil Armstrong would really be well remembered if he had. I can't say as I'm a huge fan of e-books. Though I do recognize they are constantly growing in popularity. I don't have any of the tablet options like Kindle, though I do have software that can read Kindle books on my computer. There are a lot of free books available for download and I've availed myself of that option. But, given the choice, I'd still prefer to read on something that doesn't have to be recharged. Which brings me to the subject of social media. I have a dumb phone, not a smart one. I know full well what Facebook and Twitter are. I just don't like them. People seem shocked when I say that. The assumption is that cranky middle aged guy can't keep up with the technology. Truth is, I can handle it--just don't want to. I really do not like Facebook. I started a page and soon abandoned it. I didn't like it-no pun intended. And I even tried Twitter and quickly dropped off there as well. Which leads me to my latest gripe. The trend amongst companies seems to be they only offer deals on Facebook. I had lunch yesterday and the cup had one of those codes only a smart phone could read. I figured out that, not only do you have to have the smart phone, but you also must go to Facebook to claim your prize, whatever that may be. There was no other option, ergo I was excluded. Well, I don't really care as few of these deals are worth my time to redeem anyhow, but locking people out of deals seems counter productive. And, finally, I've got this new keyboard on my DESKTOP computer. It's got these large print yellow keys. Apparently this thing was designed for old people. Well, I could see the letters on my old keyboard just fine. But the old keyboard wasn't working well (I type a lot). I thought this thing looked cool and was very reasonably priced. So I bought it. I'm not blind. I just liked it. Just as I prefer my desktop to notebooks. (I type a lot). I like the desktop better. I understand it. I could easily use it. And as hard as that may be to believe, cranky middle aged guy just does not want it. I've been trying to organize a ghost story reading in Denver around Halloween. That's a good time for that sort of event. People are more receptive and you can sometimes snag a little publicity from media outlets looking for seasonal story ideas. Problem is, I don't live in Denver. I'm not all that connected with places that might let me use their facilities. At this point, I have my doubts it'll happen. Stay tuned. Well, I always thought I liked stories with gunslingers. then I found this. 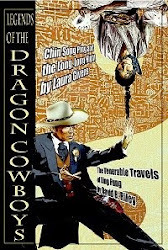 edited by David B. Riley, cover by Laura Givens. 87 pages in large size with nine stories. 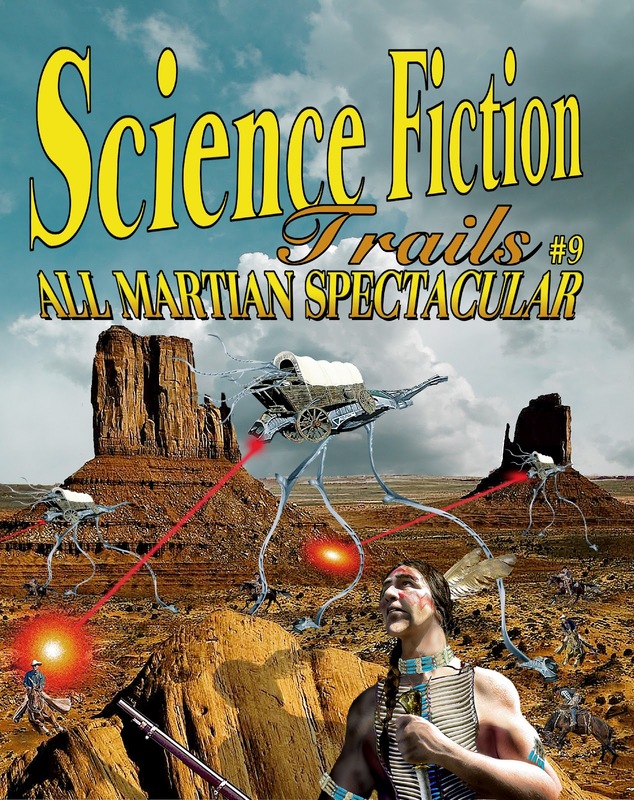 The SF Trails anthologies are ‘weird western’ stories and the editor has been building an excellent stable of writers in this sub–genre for quite a few years now. (And yes, one of them is me but not in this issue so I feel free to say that and do a review.) General comments – excellent editing, and the cover is dynamic and eye-catching. This issue starts out with Lou Antonelli’s Pirates of the Ozarks. I found the story interesting on three levels. It’s a rip-roaring tale of derring-do, it also quietly sneaks in a number of genuine names from history, and finally, while I can’t be certain, I think that geographically the idea of a huge inland sea, just where Lou has one for the purposes of the story, is correct. That makes it three for three and I loved the story. Sam Kepfield’s They Zapped With Their Boots On, I enjoyed for very similar reasons. It’s an alternate world story, and very nicely realized. The third of the stories I most enjoyed was Dave’s The Dinosaur Who Loved Twinkies. Again, some historical background, and it made me smile – more than once. The other stories were all good solid work. 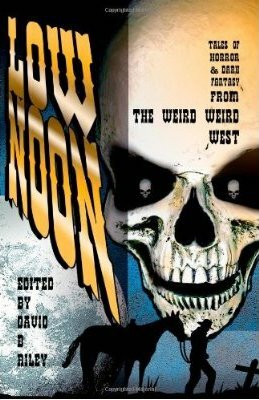 This is a growing sub-genre, for years I’ve sold the occasional weird western story to David, and for years his was almost the only market that wanted them. But this past two or three years I’ve observed that an increasing number of anthologies are opening for submission. Full-length books are being accepted in small press markets, and genre anthologies are now often accepting this sort of story where years ago they weren’t interested. I won’t say that this is entirely down to David, but I do think that his Trails series has had a lot to do with it. And long may that continue.. 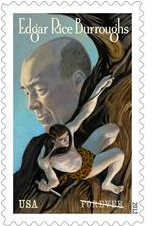 There's a new stamp celebrating the 100th anniversary of Edgar Rice Burroughs creating Tarzan. I still think Burroughs and J. Edgar Hoover are the same person. Just look at pictures of both of them side by side. Hi, it’s me, Karl. I’m the guest blogger today. We didn’t have writing where I come from. Back in the cretaceous it was just running around eating stuff. Every day was mostly the same. Now, I’ve even got my own column in Science Fiction Trails. 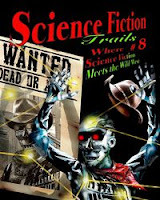 That’s the magazine where science fiction meets the Wild West. Boy do I love science fiction. We didn’t have science fiction back in the cretaceous, either. We didn’t even have science. I'd never heard of time travel before I ended up here. But, I’ve learned that not all science fiction is so great. There’s this BBC show called Primeval. I thought it would have some of my friends from back home. Well, I was shocked that the dinosaurs were the bad guys. The British guys run around shooting dinosaurs and mammoths. Can you believe it? They wouldn’t last ten seconds if they had to take on a real dinosaur. I’m not watching that show any more. Well, I just got back from the natural history museum. 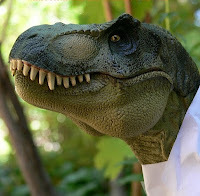 You wouldn’t believe how much they say dinosaur bones are worth. I used to grind them up and spit them out. Boy, I would’ve saved some of them. But who knew? I sure like the museum, although my old friends don’t look the same without any skin on them. I just sat quietly and people thought I was a new exhibit. Then, after they closed, I sure scared the crap out of the security guard. I reared up and roared. Poor guy ran out the door and kept on going. Just a little dinosaur humor. Then I went looking for some place called the Steak and Shake, but I couldn’t find it. But I found a big cookout in the park. There were all these people and they all left suddenly. They left a whole lot of food behind, so I didn’t want it to go to waste. It was pretty good–especially the barbeque. And the beans. And the chicken. And the cake. And the cornbread. And the hotdogs. And the jar of mayonnaise. I really like those big jars from Costco. Most jars of mayonnaise are just too darn small. And the salad was good too. I like meat, but a little salad now and then isn’t all that bad. Although the genre magazine era has pretty much passed, there are still a handful of interesting titles appearing for those who are willing to look for them. The first of these is thematically consistent, science fiction stories with settings in the Old West. It’s attractively packaged and very readable. Several of the stories this time involve alternate histories. Lou Antonelli and James Wymore have the most interesting contributions. The second title is new, a digest sized magazine with four stories and a number of poems and reviews, as well as interviews and articles. The story by D.L. Chance is the high point of the issue. Although I found much of the nonfiction interesting, I thought it diluted the magazine substantially. An interesting and potentially worthwhile addition to the genre but I think it needs a sharper focus. Interzone is a more predictable and established title, obviously, and has fine stories by Aliette de Bodard and Sean McMullen, along with quite readable stories by other writers and associated materials. A slightly better than average issue. Black Static has less lineage but is well established now and this issue has several nice stories, although I found it slightly below average. The articles, on the other hand, were quite good this time around. The magazine world is not healthy and I don’t expect it ever will be again, but as long as titles like these keep appearing, it will continue to be worth investigating. There's a new review of Low Noon out on SF Site. There's this neat service called Shelfari. It lets people discuss books in a bulletin board type of environment. You can get extra info about a book than the typical blurbs provided from publishers. However, some things people come up with seem kind of odd. Take my novella, The Pirate Dogs. Under locations, somebody put The Caribbean (correct) and England. The story doesn't take place in England. They never go to England. It doesn't happen. I wrote the blasted thing. I know. It makes me wonder. I seem to have a slow leak in one of my tires. I hate dealing with tires. They never last anywhere near what the manufacturer claims. In the mountains of Colorado, it's critical to have decent tires or you'll just get stuck all winter long. Our roads can be quite icy. So, I guess I'll have to consider a trip to the tire store in a few days. I got a political poll call last night. Believe it or not, I've never gotten one before. This was obviously a Republican pollster. It was amazing how they were trying to manipulate my answers by the way they were phrasing the questions. Ergo, one wonders how accurate these polls are. Of course, I'm not sure they care. If they trick so many people into saying they oppose this guy, then they send out a press release and the media gobble it up. This particular poll seemed to be trying to see if people have a problem with Romney's new running mate. Most of the questions were health care related. And Ryan has some very radical views on health care--even more so than Romney. They seemed to be trying to trick me into answers and even told me things about the Obama Affordable health care act that are not true. I don't know which specific group was behind this one, but it was clearly not an effort to gauge what people are thinking. Of course, if you represent a certain party or candidate, you want to tell them what they want to hear, I would suppose--so they'll give you more business. About as crooked and cynical as the rest of our political process. I've noticed an interesting pattern lately. 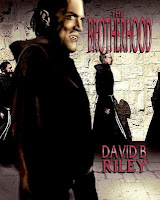 No one seems to want my vampire novel The Brotherhood. It's the first novel I ever had published and is now out in a new edition. What's interesting, at least to me, is that it has some sales in Great Britain, but it never seems to sell in the USA. It did do okay with a free ebook offer recently on my birthday, but actual paid sales of the print copy or the ebook just do not seem happen in the USA. Since it's set in Oregon, I'm a little baffled why it seems to be finding a small niche across the pond. I'm happy that people there want it, just a little baffled. But then, lots of things baffle me. To those who haven't been reading this blog regularly, The Brotherhood is about a bunch of monks who have a very dark secret--they're vampires. At the fair yesterday, the local authors pretty much just sat at a table and were ignored. A few familiar faces did stop by. Got caught up with the current goings on in the lives of David Boop, Dana Bell & Julie Campbell. And we managed to work on the plans for our evil conspiracy to flood the world with weird western stories. These plans are proceeding quite nicely. There seem to be a lot of weird westerns projects underway right now. "Excellent," I say as I rub my hands in my best Mr. Burns imitation. Well, I went to the Denver County Fair yesterday. They say folks are contracting a new strain of swine flu at county fairs--from the pigs there. I didn't go to the livestock area. I don't want no stinkin swine flu. A lot of overpriced junk. A lot of vendors, but dang little of interest. At the author table we basically just sat around. I made a few new contacts, mostly people involved in cons that could prove beneficial down the road. But, as far as fans--there just weren't any. Didn't autograph or sell any books. I guess I should've gotten more involved sooner. I could've baked one of my famous grape pies and entered it. But, I didn't get my act together in time. 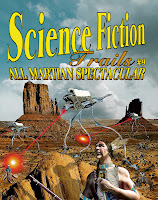 I don't usually rattle on so much about Science Fiction Trails, as they do have their own website. Still, there are two issues this time. I decided to split in two with the special Martian issue. I'd first considered doing one big issue, but the Martian stories are so different from the Issue 8 stories [We'll call it the Robot Issue, because of the robot cover.] I even considered doing something like a back to back, like the old Ace Doubles. But, at the end of the day I decided to do two different issues. The underlying question is: Will they cannibalize each other? I just don't know yet. I'm thinking they likely will. I really like the Robot Issue. It's more heavily laden with alternate worlds than past issues, but they're pretty well thought out alternate worlds. And then there's the Martian issue. 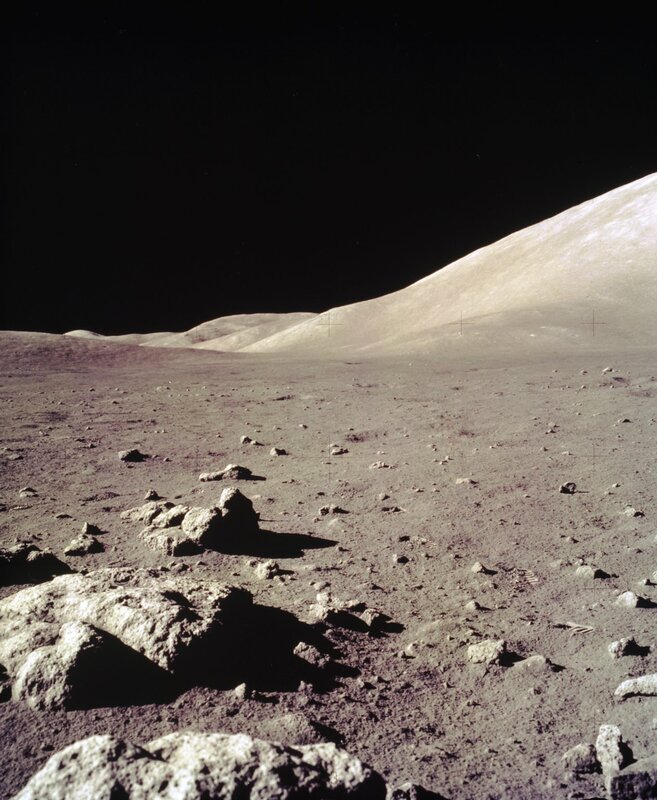 Some folks may be surprised to discover that some of the stories are actually set on Mars. Yep, it's not at all just a bunch of Martians invading Earth--not by a long shot. So, next week, I promise to find something else to rant about beside publishing. I haven't talked about tires in a while . . . I mentioned it before, but I'll be in the author booth at the Geek Pavilion of the Denver County Fair tomorrow. I've never been to this particular fair before, so I don't know what all that have going on. I guess I'll find out. 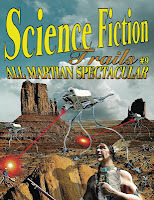 For a brief period yesterday, Google was popping up our [Science Fiction Trails] new Martian issue, if you were seeking stuff on Martians. Then, it stopped. I don't know why. I never understand these things. If the Martins had sent a radioactive probe to Earth everyone would be worked up. I'm sure the Martians are furious. 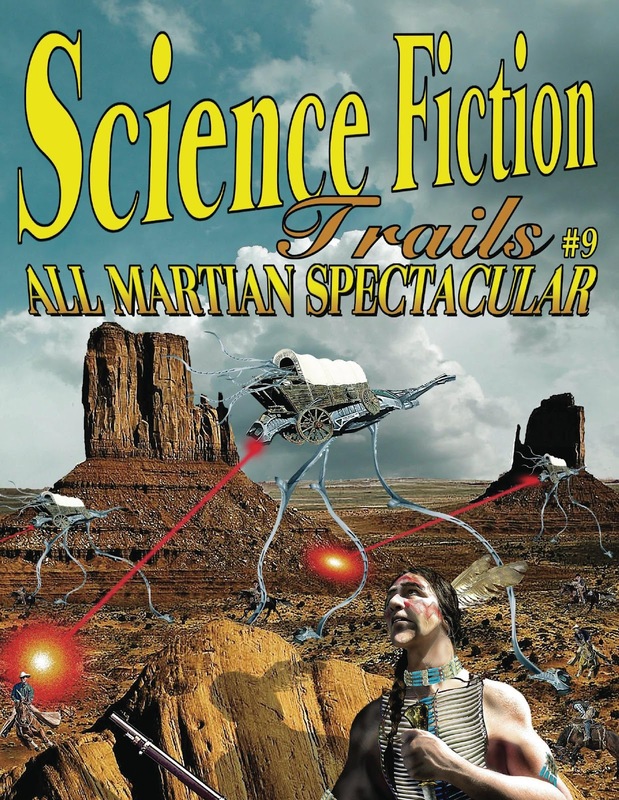 By the way, the All Martian Spectacular issue of Science Fiction Trails even has an essay on why people are so fascinated with Mars. Thought I'd mention it. I wasn't going to bring out the issue until September because summertime sales of this stuff are historically soft, but I moved it up when I thought I might be able to use some of the interest in Mars that Curiosity is generating to get people to order the magazine. So far, there haven't been all that many sales. We'll see. There's a lot of news and interest in Mars right now. Strangely, I've tried using search engines and looked for variations on Mars. Sometimes, but not always, up comes the cover of our new Martian issue right alongside pictures from Curiosity. Whilst this would seem to be really cool promotion, it has not resulted in sales--thus far. Hey people, buy the damn thing--you know you want it. 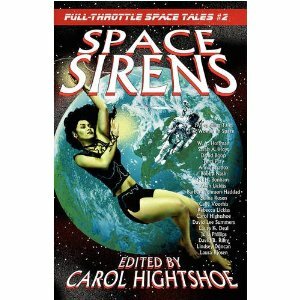 I recently got a letter from the publisher of Space Sirens, one of many science fiction anthologies I have stories in [I'm not just some western guy]. The gist of it is they've finally admitted the book is a dud. After 3 1/2 years and only $5 in royalties I needed to be told this? Sad thing is, it's a pretty darned good book. My story, "Ruler" got mentioned specifically in a review in the Denver Post. I have a feeling it's not going to be on the market much longer. It just didn't catch on. I also have stories in two other books in that series, Space Horrors and Space Pirates. I don't know how many more they plan to make. Although my favorite story is in Space Horrors, "Salvage," I think the best overall book in the Full Throttle Series is the first one, Space Horrors. But that's just my opinion. Well, the preliminary report is that the Curiosity space probe made it through the Martian defenses. It's not really easy to shoot down incoming space probes. I'm sure the Martians gave it a good effort. Here's a little more info on what I was rattling on about yesterday. MileHiCon is pleased to announce that it is now a partner in the Geek Pavilion at the Denver County Fair, August 10-12, 2012 at the Western Stock Show Complex. www.denvercountyfair.org. MileHiCon is assisting with the organization of the Geek Pavilion. The Geek Pavillion will be like a mini SF convention within the Fair. There will be a costume contest, model show, art show and loads Geek oriented competitions, such as: Best Invention, Best Homemade Robot (functional), Best Homemade Robot (non-functional), Best Sci-Fi/Fantasy Art, Best Science Art, Best Vintage Technology collectible, Best Vintage Geeky Toy collectible, Best Model Building, Best Original Comic Book, Best Original Short Story (1000-word limit; must pertain to geekery), Critter Crunch Fighting Robots, and many others. We know you’ll love it. MileHiCon will have a booth at the Fair, so stop by and say hi. NASA is at it again. Another probe from Earth, Curiosity, is about to land on Mars. Over half (about 60%) of the probes from Earth have been shot down by the Martians over the years. Will they succeed Sunday or will it get through? 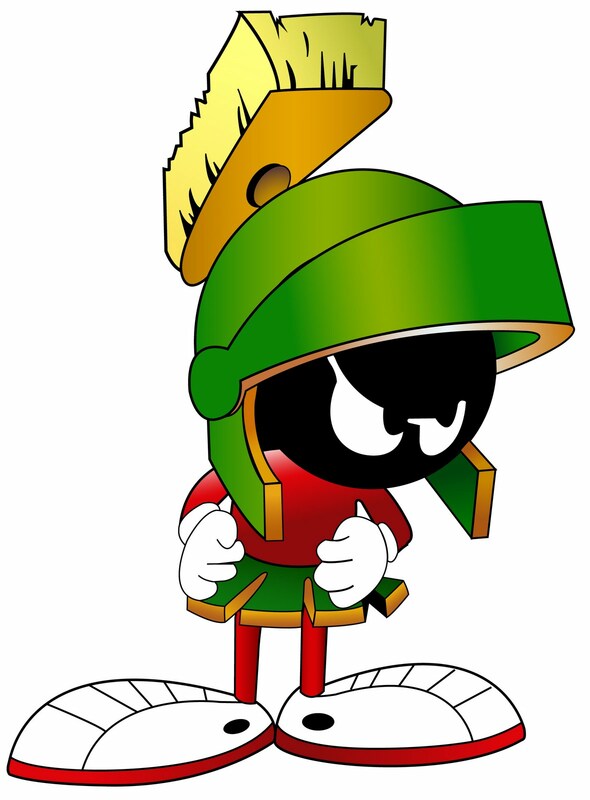 I'm rooting for the Martians. Next weekend the Denver County Fair will be going. This year they have a Geek Pavilion. I'm not sure what all that entails, but I'm scheduled to be in the local authors booth on Saturday afternoon. If you're at the fair, stop by. For those folks who waited anxiously for our new Martian special issue--it's here. You can buy all you want. Feel free to hand them out on street corners or buy a few copies for that someone special. In fact, I'm providing a link to our distributor and a 40 % discount code so you can give that little Uncle Martin in your house a copy. Cyberpunk is a popular subject nowadays and it's no wonder when the Wild West, new technology and the threat of aliens rear its head. 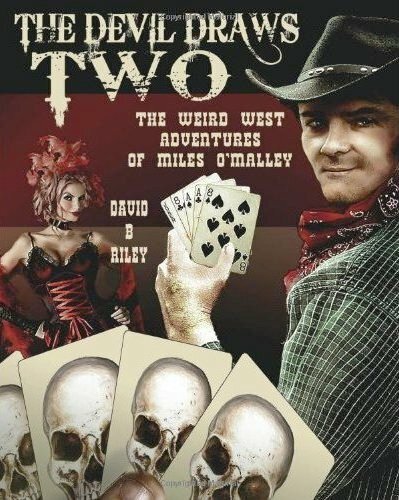 David B. Riley brings the past back to the reader with Miles O'Malley's adventures in what he calls the weird west. The character started out in a few short stories; in "Cabal Asylum," and "Hadrosaur Tales," and then he went on to feature in two other novels; The Two Devils and Devil's Due. Miles has been in a lot of trouble, but now he has hit rock bottom rather than the jackpot with Ah Puch, a Mayan god who wants to take over California. He has plans to turn it into his very own empire, and lawman Miles has to take him on, but not without the help of a few friends. Mayans aren't all he encounters though; he has an array of unusual things coming his way -- ghosts, sea monsters, fallen angels and aliens feature just as frequently in this novel. And as if that was all he had to contend with, there are others out there who want to give him a hard time, the fallen angels in question want to enchant him by making themselves look like even sexier women. How can a man like Miles resist them? Well, that is a very good question indeed as he has had to resist a whole host of different women, all dodgy and all beautiful... most of the time. The Devil Draws Two is a huge novel, and it is nice and heavy. It starts out with General Creed meeting the Mayan god of death just as Miles has an encounter with a raucous shape-shifter. One thing about Miles that you notice early on in the story is that he risks his life for others, and can get quite sentimental about those of the female persuasion. 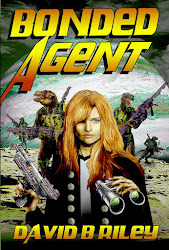 As it is a large book, there is room for plenty of new and interesting characters, leaving none for boredom in this world of fast guns and even faster women. This isn't all cyberpunk or Wild West either, there is a good dose of fantasy and horror in it too, and with the descriptions of severed heads and strange beasts, readers can be entertained all the way through the novel and come out the other end with a huge sigh of relief... hoping that Miles makes it through. Readers can expect originality and good humour from this creative offering, and a delving into the mind of one man who could do a lot for Western public relations. Copyright © 2012 Sandra Scholes Sandra has reviewed for several publishers, blogs and websites including, The BFS, The Zone, Love Romance Passion and Active Anime, and she still has time to breathe. I'm pleased with the coverage of the Olympics, more or less. In past years, I've hated it. Some network person would only let me watch certain events in prime time--rarely what I wanted to watch. I've been rather impressed with whitewater kayaking. They should have dogs jumping into water for distance. I'd like that. Just horses in the Olympics--no dogs.